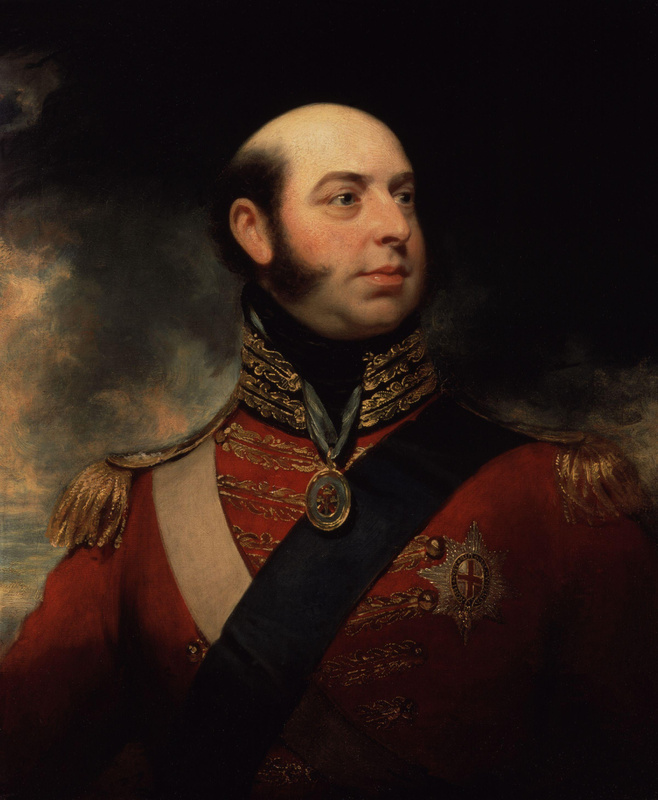 Edward Augustus, Duke of Kent and Strathearn, was born 2 November 1767 in Buckingham House, London, England, United Kingdom to George III of the United Kingdom (1738-1820) and Charlotte von Mecklenburg-Strelitz (1744-1818) and died 23 January 1820 in Woolbrook Cottage, Sidmouth, England, United Kingdom of unspecified causes. He married Viktoria von Sachsen-Coburg-Saalfeld (1786-1861) 29 May 1818 in Schloss Ehrenburg, Coburg, Germany. Notable ancestors include Charlemagne (747-814), William I of England (1027-1087), Hugh Capet (c940-996), Henry II of England (1133-1189), Alfred the Great (849-899), Gustav I of Sweden (1496-1560), Willem van Oranje (1533-1584), Robert I of Scotland (1274-1329). Ancestors are from the United Kingdom, Germany, Denmark, England, France, Belgium, Spain, Sweden, the Netherlands, Russia, the Czech Republic, Hungary, Poland, Austria, Belarus, Ukraine, Lithuania, Bohemia, Switzerland, Italy, Slovakia, Slovenia, Portugal, Israel, Ireland, Scotland, Turkey, the Byzantine Empire.